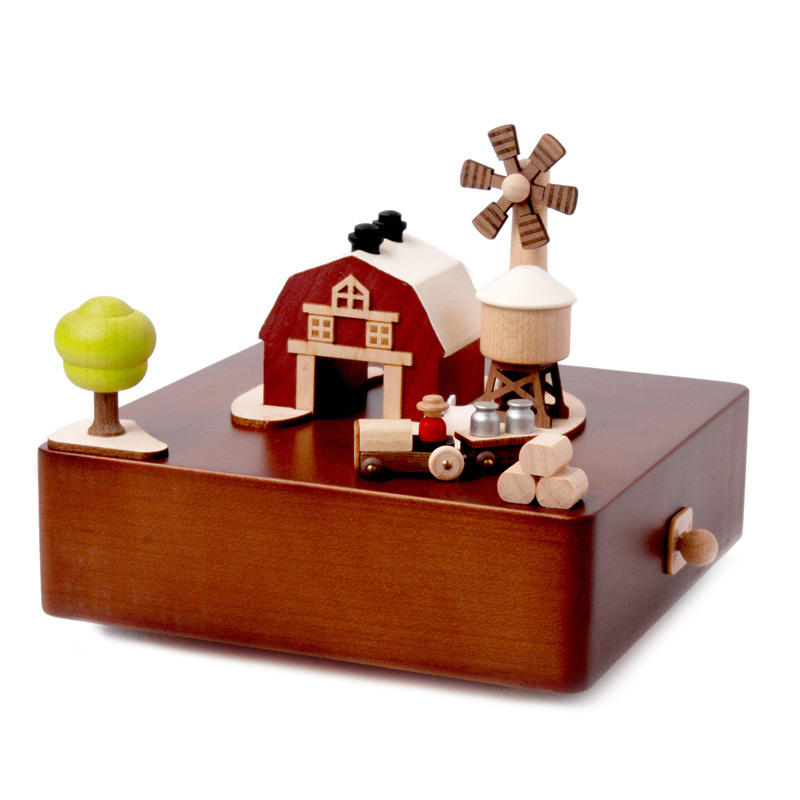 Barn and Tractor Moving Wooden Musical Box | Plays the sweet tune of Oh Susanna""
Nurture your child's love of the land! The tractor pulls the milk around the barn! This charming music box is sure to become a treasured keepsake in your family! A popular choice for new baby gifts, birthdays and other special occasion, watch as the farmer guides his tractor and milk pails carefully around the iconic red barn and windmill, dodging the silo and hay bales as he goes! It even comes with a pig in the mud! Your gorgeous farm-themed music box plays the cheerful tune of "Oh! Susanna". Simply wind up your music box using the key underneath and use the on/off switch on the side to start and stop the music. You'll be mesmerised as the tractor moves in a perfect circle with the help of hidden magnetic rails. No batteries required! Dimensions: 14cm x 14cm x 14cm.